Stop running the same sales contest. Discover 11 fresh ideas in this guide! Motivation is fleeting, attention spans are short. Employee engagement is not getting any easier these days. Ensure your reps continue to have their eyes on the prize by challenging them with new and exciting sales contests. Give your team the push they sometimes need by hosting interesting contests that will help focus their attention, boost their productivity and tickle their competitive belly! In this guide, you will find sales competitions to suit any team and situation. From personal success challenges to team head-to-heads, discover different ways to get the best out of your sellers. Quota-driven incentives can only get you so far. This traditional approach, that places all emphasis on closed revenue, may only be having impact on a small percentage of your team. Motivating the high-value behaviours that invariably lead to success is a much more effective way to increase the performance and output of the entire organisation. And to do that, you need to create a constant drip of activity and attention. 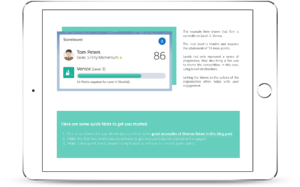 Refocus and recharge your team around important KPIs with a mix of these 11 Sales Competitions - all tried and tested by our own customers! Access this unlimited source of engagement by filling in the form above.